Can You Get Power of Attorney After a Death? Death invalidates POAs, but the law provides other options. Can you get a power of attorney after the death of a loved one? Unfortunately, you can't, and if you have an existing power of attorney, it becomes invalid upon the death of the principal—the individual who gave you the right to take certain actions on his behalf. But someone is still going to take care of his affairs after his death. Perhaps your parent has recently passed away and you're named as his agent in a ​power of attorney—you're the individual he wants to take care of certain personal business matters for him. The POA can give you the authority to act on his behalf in a number of financial situations, such as buying or selling property for him or maybe just paying his bills. After his death, you might think that you should continue paying those bills and settling out his accounts. But in reality, you should not and you can't—at least not unless you've also been named as the executor of his estate in his will or you're appointed as administrator of his estate by the court. If your parent's bank account is titled in her sole name, and if she owns anything else in her sole name, her will must be filed with the probate court shortly after her death. This begins the probate process to legally distribute her property to her living beneficiaries. People can no longer legally own property after they're deceased so probate is required to transfer their property to living heirs. The executor named in her will takes care of all this, guiding her estate through the steps of probate. Your parent's property must still pass through probate to accomplish the transfer of ownership, even if she did not leave a will. The major difference is that her property will pass according to state law if she doesn't have a will or if one can't be located, which might or might not be according to her wishes. The court will appoint an administrator to settle her estate if she does not leave a will. You could apply to the court to be appointed to act as administrator and the court is likely to agree if she left no surviving spouse or if her surviving spouse and none of her other children want the job. In either case, the probate court grants the authority to act on a deceased person's estate, her property, her debts, and her money to an individual other than the agent under the power of attorney. In some cases, however, that agent might also be named as executor or administrator of the estate. If you're also named as the executor or administrator of his probate estate, you would continue to have authority over her bank accounts and other assets, at least until they can be transferred to living individuals. Because a deceased person cannot hold ownership of property, the power of attorney you hold for your parent is useless and serves no purpose. He no longer owns anything for you to handle for him. The POA might authorize you to make financial transactions for him, but he technically no longer owns the property or the money over which the POA placed you in charge. His estate owns it, so only the executor or the administrator of his estate can deal with it during the probate process. As a practical matter, most financial institutions immediately freeze the accounts of deceased individuals when they learn of the death. The freeze remains in place until they're contacted by the executor or administrator of the estate. If you were to attempt to use the POA, it would be denied. There are some exceptions to this rule. Some very small estates do not require probate, or your parent might have used a living trust as her estate planning method rather than a last will and testament. If she left a revocable living trust, a successor trustee takes over after her death. But these exceptions are limited and the POA becomes invalid in both cases anyway, its validity dying with the principal. If your parent's bank account or other property is not included in his probate estate for some reason, this also changes things. How can property or bank accounts escape probate? Probate is only necessary for assets your parent owns in his sole name. These are the assets that require a legal process to transfer to living beneficiaries. But if your parent listed you as co-owner of his bank account or even on the deed to his home, giving you "rights of survivorship," the account or the property would pass automatically and directly to you at his death. Therefore, probate of these assets would not be required. You would still have control over these assets. They would become yours. But you would no longer be responsible for paying your parent's debts from that money because probate also handles his final bills. You would only be responsible for paying debts on which you might have co-signed on the debts, just as you were co-owner of the account. 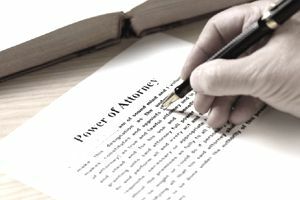 So what are the duties of the agent of a power of attorney after the principal—the person granting the POA—dies? None at all.